Information watch portal montre24.com presents to attention an exclusive video clip, at this time dedicated to the company Hautlence. The watch company Hautlence was no exception, and also presented its latest product Hautlence 2012 at BaselWorld 2012. The Swiss watch company Hautlence was founded in 2004. The main feature of Hautlence watches is the absence of watch dial: it is replaced by the sapphire plate, which opens the eyes, even the smallest details of the mechanism. That is why the masters pay a great attention to the mechanism which by means of skilful hands gets a flawless appearance. At the BaselWorld 2012 the company Hautlence introduced its novelties Hautlence 2012 to wide range of visitors, watch connoisseurs and including the team of watch portal montre24.com. The first presented model was Hautlence watch, which design tends to be a classic watch. This classic novelty by Hautlence is differ with readable dial and very easy to use. Next was presented a model which fully reflects the main focus of the company - an open mechanism, visible through the sapphire dial. Watches are equipped with a retrograde minute hand. The function h is displayed with an adjustable chain with a 12 - a digital scale. Watches are equipped with automatic movement with 520 components, developed by Hautlence. Power reserve is 45 hours. In spite of its glass design, the water resistance of Hautlence watch is up to 30 meters depth. More clearly see the demonstrated novelties Hautlence 2012 at BaselWorld 2012 is possible by clicking on the following link - http://montre24.com/exhmember/10/269/. 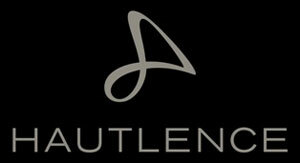 Official site of Hautlence watches.